The Good: The likenesses of the majority of the characters portrayed in the movie were very good. (Check out the side by side comparisons at the end of the movie) Ashton Kutcher starts off by mimicking Steve Jobs' distinctive walk and posture from beginning to end. (He gets an A for effort for that) The emotional range that is demanded from playing Jobs actually is met by Ashton. He accomplishes tackling Jobs' emotionally teary-eyed moments all the way to his cold, cruel, shark-like manner. The stages when Apple is finally a company all the way to the more recent years are probably portrayed the most accurately. 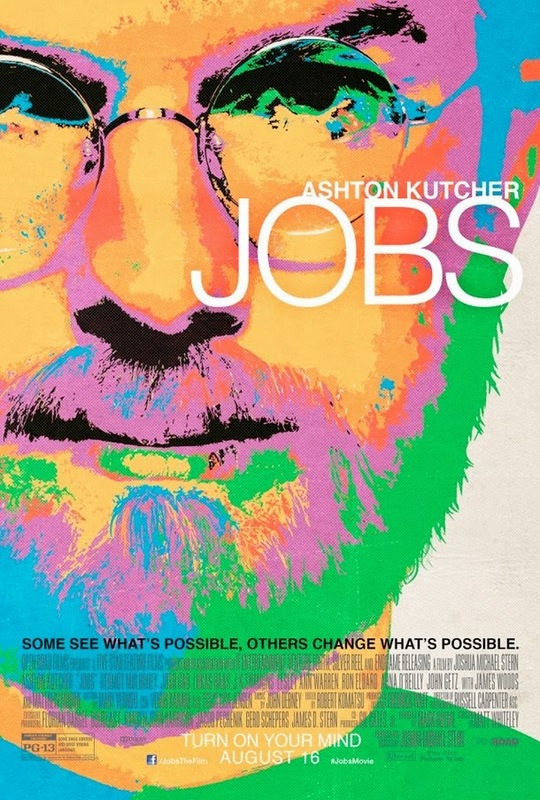 One of the best parts of this film was the fact that you get to experience the unique sense of inspiration that Jobs would share with those around him. The Bad: The production and direction of the movie really fails to develop the Jobs character for this film. They leave out crucial events in his childhood that is essential to understanding just why Jobs acts the way he does. (Being adopted, parental interactions, abandonment issues, etc) They only do a brief mentioning which just isn't enough. This pretty much leaves the audience just thinking that Jobs is either bi-polar or crazy, which wasn't necessarily the case. The movie was about 2 hours long, so that length of time may bother some people. The Reason: Unfortunately due to the skipped early moments of Jobs' life, the depiction of Jobs isn't conveyed very well for the average person. You'll be missing out on what made Steve tick, so to speak, especially if you haven't read "Steve Jobs: A Biography" (which I do recommend), or unless you're an Apple enthusiast. I thought this movie would either be a " Jamie Foxx + Ray - The Movie" type of biopic, but instead it's more so just " Will Smith + Muhammad Ali" (That's not a good thing). This is worth the rental, and if you're really dying to see it, I'd suggest a matinee. Don't expect the "cool factor" that is connected with the Apple brand to be reflected in this film.